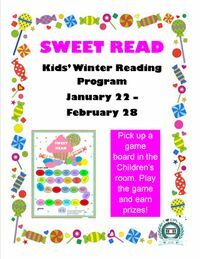 Our Winter Reading Program, "Sweet Read" begins January 22 and ends on February 28. Pick up a game board in the Children's room. Play the game and earn prizes!